This weekend, I had parked my car in a residential area to goto a restaurant. It was not parked in a driveway nor in front of a gate nor in the slot where most of the people alter their foothpaths to park their car. By the time I returned, windshield was filled up with clay mud. No one was there near the car, but, someone from the home might have done that. We need the rule that the parking place in front of houses is not owned by the tenant to be published in news papers and TV channels. Also, cars are parked on either sides of the street clogging the road. BTP should pass a rule that on only one side of the road cars should be parked. Otherside parked cars should be towed away. The strong local residential communities will oppose it, BTP should stand strong. Creating parking bays wherever absolutely necessary and put forward some of them for allotment, first to the owners of the area against certain fee and the rest reserve it for public parking by installing pay and display parking machines. The penalty for violation of rules and regulation must be viewed very seriously, should attract heavy penalty and cause inconvenience to the violators. A local issue requires a local solution. Each corporater of the area is supposed to have a residents’ committee, which should address such local issues. I have a garage for my Maruti 800 [60x40 sites] where as the block in my front row [30x20 sites] has none? Multi story local parking lots in each bloc. This is perhaps a valid issue for a praja discussion. Road side parked cars liable to be towed away. Idea of towing away the road side parked cars without creating a regulated parking facility seems to be little harsh on the car owners. Daily Tax for Cars with no garage. Collection of Tax/Permit fee for parking car is again a good move but collection on daily basis may not work feasible and economical. All Road Transport Offices data on net. In Cities like Bangalore the data available with RTO need not be absolute. We may have to modify the data based on other values and inputs. Following is an example Picture of a brand new car being permanently parked on a 40 ft wide cross road by the side of a park in HAL III stage [ward58]. The owner of this I20 white car is the daughter of our front neighbour [30x20] site who stays at Fraser town! She comes here on a scooter and uses the car and goes back on the scooter to frasertown. Ideally, the ward committee should issue a notice to the owner requesting it to be removed. Better still paste it on the parked car itself. I had done it once for another car which used to be parked for days together in front of my house. The owner is parking it elsewhere, in the same road since then. In one more case of a junk car, I had given a written complaint to the police station. They in turn got it removed immediately. Brain storming is just putting down whatever comes to your mind. If enough people storm their brains we can have enough material to choose the best possible solution. If each ward does this exercise may be we can have a workable solution, for our city as a whole. If you go by my comment, the best possible solution for your example would be to creat parking bays around the park/street and tender some of them for allotment, to the owners of the area against Yearly Charges and issue parking permits. The rest of the bays may be reserved for public parking. Building owners are satisfied. They are provided with reserved parking. Visitors/guests who visit the locality also get some parking space. Revenue generated through this process may be used for developmental activity of the area. You have highlighted an issue faced by each and every Bangalorean. There is more to add to the problem faced by you. 3. Displaying unauthorized no-parking board. 4. Using footpaths for their shops activities such as (a) cleaning of groceries (b) frying of chips (c) repairing of vehicles (d) carpentry/furnishing work, etc. 5. Bringing their delivery vehicles during peak hours (between 9:00 AM and 11:00 AM; 5:00PM and 8:00PM) for unloading of goods which takes anything around 1 to 2 hours time which obstructs both smooth movement of vehicles and pedestrians. The people who are visiting their friends and relatives who are residing in apartment complexes face much bigger problems. All these things call for clear-cut by-laws by BBMP for converting residential to commercial as well as multi-storied housing complexes. One more nuisance is using residential properties for commercial activities such as offices, messes, un-official hotels, etc. Every car should get a monthly pass by paying in the local BBMP office and paste on the car windshield / car cover (if covered). Colour of the pass should change every month for easier identification. For extra reservation of car parking in front of the house on the pavement, there should be extra charges. BBMP can paint "Reserved for <car registration number>". But before allowing for the parking, they should look into the road width (I know here BBMP officials will make money). Cars should be towed away during nights from those which do not have the pass. Every locality should have some visitor car parking lot. This will reduce car ownership due to the monthly overhead of parking in front of homes and thereby reduces the traffic as well. I feel instead of monthly pass it would be better if the pass/permit is issued on yearly basis. It would save from the trouble of visiting the BBMP office often and also the whole process can be linked to the property tax payment. Police will not tow any cars unless unavoidable. Whatever place police stations have is already full with junk cars. These cars should be disposed / destroyed to make space for new tow away cars. This needs suitable new legislation. IMHO residents need to approach respective MLAs for this. >We need the rule that the parking place in front of houses is not owned by the tenant to be published >in news papers and TV channels. Good luck with that :-). Who will enforce that? Other than that this thing of don't park here, our car parks there kind of thing happens only in India I guess. The whole question is, why didn't the guys build a garage in their house to accomodate the cars? I am sure they will be flouting byelaws. Let the solution to the problem be practical, easy to implement and enforceable in law. Local governing bodies such as BBMP/Municipality/Councils should identify the areas and roads for parking. Thereafter, give an extensive coverage on the programme in news papers, TV Channels etc. Reach out all the people who are directly affected and provide them with a chance to raise their objections if any, and also grant them an opportunity to be heard. Let there be transparency in all their procedures. Give a good publicity of the scheme with rules and regulations before making it enforceable. Why didn't the guys build a garage in their house to accommodate the cars? How many of us can really afford to purchase Land /site in Bangalore city to build a garage? On the contrary many of us can afford more than one car and our guests also visit us by cars. Is it possible for every one of us to provide parking space within our premises for our visitors also? How many of us can really afford to purchase Land /site in Bangalore city to build a garage? On the contrary many of us can afford more than one car. Is it not a funny argument? Buying a car without own or hired parking is not acceptable. IMHO Local Corporaters need to be taking appropriate action in each of their wards. With their collective wisdom the government can think of a proper legislation. This taxi is parked right in my curb, for a couple of days. I am anxious to meet this driver when he comes to pick up his vehicle, to appreciate this skill. I admire his bravery too. This is so because it is extremely difficult to guide the car exactly parallel to the storm water drain, without crashing the car into it! I heard my son complain about no curb parking place, as they drove right in my drive way. My grand son with his new toy … a [remotely piloted] car ! The argument may look funny but it is the reality and you are witnessing just before you. This discussion about cars parked on street sides in residential areas appears to be exploring ways on "normalizing" such irresponsible parking & even increasing parking spaces instead of finding ways to curb such use of open public & pedestrian spaces. An odd car or two parked by visitors temporarily is normal & acceptable, but not parking regularly by home owners who "cannot afford" parking spaces within their premises. The root to this problem lies obviously in the over-liberal, in fact non-existent enforcement mechanisms to check the runaway growth in private vehicle population & insufficient public transport. The solution is to discourage car ownership by charging heavy annual taxes & road /bridge user fees whilst simultaneously expediting construction of different modes of PT such as Metro, Mono & BRT, but progress on these has been pathetically slow, unfortunately. An odd car or two parked by visitors temporarily is normal & acceptable, but not parking regularly by home owners who "cannot afford" parking spaces within their premises. Does it mean that home owners who "cannot afford" parking spaces within their premises cannot own a car? Then how do we address irresponsible parking of individual Cab and Auto operators who are BPL families? They make their living out of their vehicles. Local governing bodies such as BBMP/Municipality/Councils to identify the areas and roads for parking. Thereafter, give an extensive coverage on the programme in news papers, TV Channels etc. Reach out all the people who are directly affected, provide them with a chance to raise their objections if any, and also grant them an opportunity to be heard. Create parking bays wherever possible, necessary and put forward a few of them for allotment, on priority basis to the property owners of the area against certain fee and the balance reserve it for public parking by installing pay and display parking machines. Create Multi story parking bays wherever necessary and offer them to public. The penalty for violation of rules and regulation must be viewed seriously and should attract heavy penalty. Yes they cannot own car, show parking & buy car, if you dont own one buy one from someone & show ownership of the space. Residential areas should allow for street parking If streets have width more than 10 meters for single side, 13 meters for double side, but one has to pay & buy daily/monthly/yearly parking permit from BBMP/BTP & display. These permits will be priced such that the longer the permit is valid the more expensive it will be so that residents will find it cheaper to own parking space than buying long term permits & the parking space is used only by visitors to the area. The permits should be valid by zones instead of by streets & purchasable in any shop. Roads with public transport in general should not have street parking. More on parking suggestions in the project thread. If the person has bought the car, he has to buy a parking space for it as well. If he is driving it on behalf of a owner that owner should show parking for the car. If the driver is parking at a location away from the parking space bought for the vehicle then he has to pay for that space like a visitor does in the form of a permit. There are lots of other practices that need to be studied as well. These practices need to be passed as a law & started as a complete rollout within the ORR or a specific region. I would recommend BBMP find a way to do the simple thing of first starting paid parking on 37 roads identified already. 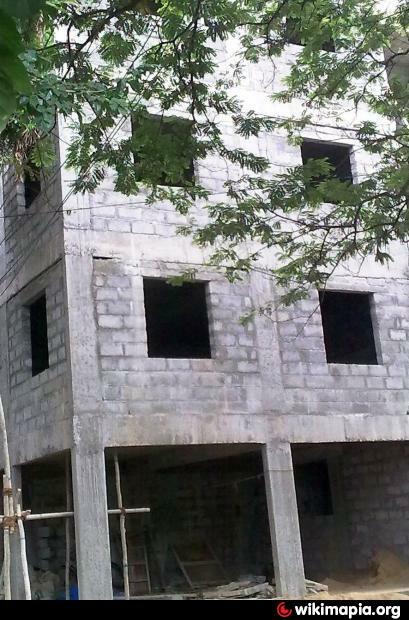 >How many of us can really afford to purchase Land /site in Bangalore city to build a garage? On the >contrary many of us can afford more than one car and our guests also visit us by cars. Is it possible >for every one of us to provide parking space within our premises for our visitors also? It is not the govt's problem nor the average street user's problem whether the car owner can afford to rent/own/beg/borrow/steal a parking space for his car. Neither is it anybody's problem if visitors to a house cannot find appropriate parking. Parking should not be allowed in no parking zone. No other lame excuses fly. Who is asking somebody to buy land just to construct a garage? The argument i think is as lame as the excuse of throwing garbage on the street giving the excuse there is no dustbin on the road. All that is being asked is that the local byelaws be adhered to and people be forced to provide parking spaces on premises. In fact they should be allowed to buy cars only after showing they have appropriate parking space. There have been instances abroad where myself or other folks whom i know have trudged half a mile after finding parking in a proper parking spot because there if fear of the enforcement that the car will get towed away. Coming back to the topic on hand bottom line is that nobody owns a particular spot in public roads. If only local residents are allowed to park on local residential streets the then local residents must form an home owners association; lobby to get a lgislation enacted and then issue decals to cars from their local neighbourhood. Adding more fuel to the fire ! What makes you think that the parking problem can be "addressed" by making car ownership cheap & with measures such as Creating parking bays wherever possible and Creating Multi story parking bays wherever necessary and offering them to public ? The simple fact is that all Indian cities already have far too many vehicles than their roads can handle (with hundreds being added each day). They also have extremely poor records on parking enforcement rules, like almost all other regulations. So, what hope do cheaper cars & more parking spaces have for solving problems ? Will "more" parking spaces ever be enough ? The only way to start some degree of enforcement amidst this chaos is to make vehicle ownership highly expensive with recurring costs & by insisting on proof for parking space for it at purchase, as IDS has mentioned above. The long-term solution of course, is to shift people to public transport, for which we need different modes - buses alone will be inefficient & not be able to handle. Nice to see so many responses and the differences. What I personally feel is those who cannot afford garage, if there is sufficient space in the front, can buy the parking slot from BBMP with a monthly / yearly fees and it should be throughly painted that it is reserved. There should be visitors parking marked and no one can come and say that this is my space, take out your car. Sorry you cant reserve common good, how much ever you pay. It like saying I want to put my furniture on the street & I am willing to pay for it. I suppose the reservation was on the lines of parking permits..which is in dire need in this city..
Usually every house is given 2 permits in most places round the world..one for the family and one for visitors.. However I think for blr it should be more like a 30X40 site gets two permit to park on street and a 60X40 gets three..and not more! This is because we have this lousy habit of building 6 dwellings in a 30X40 site and road space cannot accomodate parking for all!! Curb parking preference should be given to the owner of the site. The problem is with BBMP / BDA who need to be pulled up. It was a highly irresponsible of the local body at that time to approve a 20x30 site block mixed with 60x40 sites like in HAL III stage. Any multi story building / Apartment should not be approved without sufficient parking space. Any irregularity by BBMP officials should be a punishable offence. Repeated offence should attract dismissal from service too. The practice of allotting shop space on footpaths for disabled service personnel to be repealed. No parking space No buying a car. BDA has been providing beautiful parks in all localities they have planned. However there is a need to keep in pace with new building / town planning technologies and standards. Yes they cannot own car, show parking & buy car. We need to explore all the avenues to make it feasible and acceptable to all section of the society and cause minimum inconvenience to general public. The loopholes of the rules are plugged or do not give room for manipulation and encourage negotiator/broker. Parking space can also be purchased from any shops if any private entrepreneur ventures into renting of parking business. It is in vogue around Chennai suburban train stations. We have witnessed cinema theatres being converted into shopping malls. The problem in question is about the car owners’ stealing the parking space for their cars wherever possible. If only some agency offer parking spots, people who want to steal will be reduced. As you have correctly mentioned from your personal experience that there have been instances abroad where yourself and other folks whom you know have trudge half a mile after finding parking in a proper parking spot. I agree with you that nobody owns a particular spot in public roads hence I suggested for regulated parking against permits to local residents/owners in front of their homes. There is no dispute on fact that all Indian cities already have far too many vehicles than their roads can handle and also have extremely poor records on parking enforcement rules, like almost all other regulations. I would further add to your statement that the indiscipline way of driving is another cause for the mess. Is our economy going to improve by discouraging the vehicle owners by burdening them with high recurring cost? Every time when a new vehicle is registered with our RTOs a hefty amount is collected by way of Life Time Road Tax. If the same is invested judiciously, the yield on such investments would be sufficient to provide good infrastructure. Parking problem of owners with lousy habit of building 6 dwellings in a 30 x 40 site can be solved by restricting the parking permits to residents within the space available in front of their home. It appears that I am the only person advocating against the view of No parking space No buying car. Still I am not convinced that it can be effectively implemented and enforced. What has been suggested (viz. No parking, no buying car) is the only possible way forward that might have some chance of working. I think the state of Manipur has already started enforcing this despite the lower number of vehicles there. Attempts to regulate parking with permits to contractors for specific areas has already proven extremely difficult (if not impossible) for the govt to manage due to misuse, bribery etc to win licenses first & later, with multiple contractors operating in most lucrative areas (& wherever they can to make a fast buck), most of them without permits & this was a public nuisance. The story is the same in almost all Indian cities. Parking was discontinued in Bangalore when Devegowda was CM a long time ago. If & when such a law is enforced, it would apply to everyone (incldg cabs/autos). Is our economy going to improve by discouraging the vehicle owners by burdening them with high recurring cost? I don't think it would matter much either way. Our city roads that are now being overrun by the huge growth in the number of cars would certainly improve with much more public space for pedestrians as would the environment. If car ownership & usage costs are hiked up by say three times, there will be a drastic decrease in car population by almost 10 times since the majority who own low-priced vehicles will find it unaffordable & resort to public transport, which is the right thing. I don't think infrastructure such as roads & parking can be created endlessly & maintained for so many millions of vehicles on roads, & the vehicle population is increasing more than the human population! The city roads were originally designed for perhaps less than a few lakhs. Cities such as Singapore, Bangkok & Djakarta have learned that there will never be any end to "more" & Bangkok now has 3-tier & 4-tier roads which are still not enough. Only Singapore has managed to control the problem with a clever permit system & congestion pricing & by building the Metro, Light rail, etc. Still I am not convinced that it can be effectively implemented and enforced. Are you convinced that our taxes are being collected & enforced properly? Did that prevent you from accepting taxation as law? Are you convinced our traffic rules are being enforced properly? Did that prevent you from accepting violation fines as a law? Define both "general public" & "inconvinience"
I am convinced as much as anyone else is convinced about the effective enforcement of our tax laws and rules. So also the traffic acts & rules, especially with reference to strict procedures followed for issuing/renewing driving licenses, collection of fines on the spot from traffic rules violators, enforcement of Fitness Certificate for vehicles that ply on roads particularly old, heavy vehicles transporting building materials, Autos and Cabs. General public is referred to the citizen to whom the law is applicable. The inconvenience is again a relative term. In this context when other convenient and moderate methods to regulate parking are available why to inconvenience the public with rigid laws ‘they cannot own car, show parking & buy car’? It is not the only possible option, it is one of the options. There are other options also but you are not open to them. The residents parking on roads are very common in other countries as well. Some roads require parking permits some don’t. A few roads are reserved for both the permit holders as well as for pay and display parking users. There are other options also but you are not open to them. Your other option is creating parking bays which I have mentioned here. If your "convinient" & "moderate" Solution is TV programs & creation of multistoried parking lots for residential areas, what is the garuntee that another car will not be parked in place of the car which just went to the multistoried parking lot. So an enablement in the form of offstreet parking provision without a subsequent ban on street parking is effectively useless. You will only end up creating additional space for more cars. Post having a law, local areas can get permission to pay the city from their pockets & make parking free in their area. Consequences should be theirs only. Then after the congestion charging is implemented you will be as convinced as anyone else about the effective enforcement of the same. The standard solution - which works very well in most parts of the world - is to introduce parking permits in neighborhoods and parking meters on main streets. I believe there is an issue of enforcement and of course there is corruption but still, I think it is better that the current status quo. In many cities the main source of revenue is parking fees. Since BBMP claimes to be perenially cash strapped this would be a great way to make some money. Thought whether BBMP should be given money for their boneheaded, corrupt schemes is a different matter. Reading there only shows London has congestion charging. ANyway lets get back to parking. You have moved from parking to congestion charging hence I referred you to the link. We cared two hoots for your byelaws - you regularize our violations. Now, since cars are too many, you build multi-level garages for us public that live in our building-violation homes with economical parking fees since we are inconvenienced because of insufficient road-side parking ! Such moves will have serious consequences since they are traffic-growth biased - it will certainly be adding fuel to the fire(!) as I mentioned earlier. Lots of road space is occupied by cars parked on either sides of the road in residential areas and it is very difficult for a passing by car / truck. BTP / BBMP should atleast start enforcing parking of the cars in residential areas only one side of the road although it might not be possible to completely eliminate. Demarking parking zones within localities which extends to 2-3 roads(cross/mains) and issuing parking permits at a cost should be the way to control this..cars not having permit stickers will need to get towed away..
For the thought of having parking on one side only..this can happen when parking side is changed every other day, as it happens in some parts of bangalore (hanumanthnagar 50 ft rd)..this also needs to be controlled with permits.. This also needs to take care of how big the road is..two sides parking need to be allowed on 50ft + wide roads only.. Residents should be allowed to park their vehicles infront of their respective homes only from 8PM to 8AM ( or any designated time). Other than this time the parking is open for public and in some places can be charged as well. Residents have to pay to park on street where allowed, wether in front of their houses or across town doesnt matter. Should be allowed to get a monthly permit if you park often. I would still be fine with the idea of building multilevel parkings in residential areas, but at a cost to the owner! I pay 2L for a parking in a multistoried apartment. In case there is a layout, where people have violated the building norms, and havnt left enough space for car parking, let them buy a slot in the multilevel parking slot govt builds at a similar cost! I would be absolutely against the idea of giving it for free..
Now, question is, who should start this process! Say, BDA builds a multilevel parking, if there are sufficient takers in an area, willing to pay for a parking slot... In this case, as long as you allow street parking, there wont be demand for the multilevel parking.. The street side parking will also have to be as expensive as the EMIs for the new parking slots! The present parking crisis in cities like Bangalore is due to spiraling car ownership in the city. This problem can only be addressed by suitable legislation. Any car purchased under Bangalore registration needs to show proof of parking space. This parking space obviously should be owned / hired by the person buying the car. It looks like the main culprit is BBMP and the Corporaters in the council. IMHO BBMP town planning needs to be improved too. On 20’x30’ site people are building ground plus three story building. This corner building has been approved right royal. Each house in this lot is multi story having its own bore well too. Is this a Lack of planning, blatant violation or both? Invariably tenents in these houses have a car. Some people build two gates for their houses and put "No parking" in front of both gates. This should not be allowed. How to make Bangalore more clean - How to educate people to be clean?